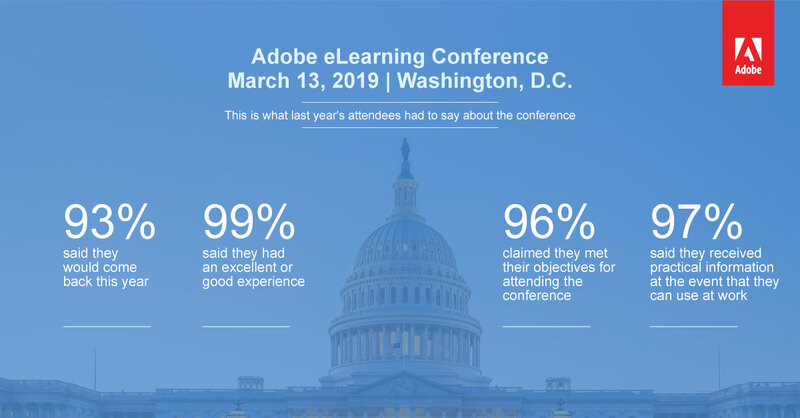 Do you still need more reasons to attend the Adobe eLearning Conference 2019? Don’t wait, register today! Is there a date for the Las Vegas conference? They’re offering a discount for the Captivate Specialist certificate in Las Vegas on October 2, but I haven’t seen an official date announcement. Won’t make this one, but I’m looking forward to the next one in Vegas.